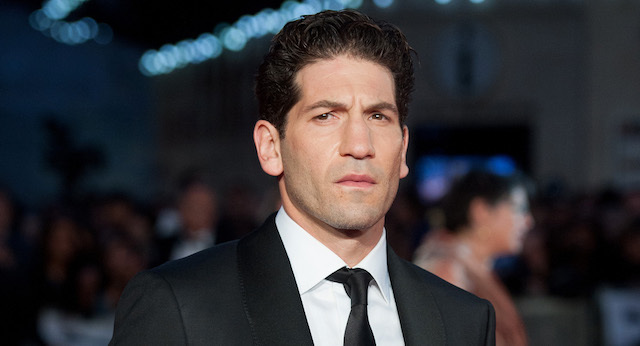 Set to make his debut as the Marvel Cinematic Universe’s Punisher when Daredevil returns to Netflix next month, Jon Bernthal has today joined Edgar Wright‘s Baby Driver cast. According to Deadline, Bernthal will play a character by the name of Griff. The Baby Driver cast also includes Ansel Elgort (The Fault in Our Stars, Divergent) as Baby, Kevin Spacey (The Usual Suspects, Nine Lives) as Doc, Jon Hamm (Mad Men, The Unbreakable Kimmy Schmidt) as Buddy, Lily James (Pride and Prejudice and Zombies, Cinderella) as Deborah, Eiza Gonzalez (Jem and the Holograms, From Dusk Till Dawn: The Series) as Darling and Jamie Foxx (Django Unchained, The Amazing Spider-Man 2) as Bats. Baby Driver follows Elgort as a young man (called Baby because of his youthful face) who works as a getaway driver for different bank robbers. One day, he gets into trouble when a bank robbery goes wrong, putting him on the run from various parties. The story is partly inspired by the “Blue Song” music video, which Wright directed for the band Mint Royale in 2003. Jon Berthal is well known to many for his role as Shane Walsh on AMC‘s The Walking Dead. Recent big screen roles include David Ayer’s Fury, Denis Villeneuve’s Sicario and Alfonso Gomez-Rejon’s Me and Earl and the Dying Girl. Working Title Films – the producers and financiers of the “Three Flavours Cornetto Trilogy” (i.e. Shaun of the Dead, Hot Fuzz and The World’s End) – is teaming with MRC (Ted) to finance Baby Driver, which is now filming in Atlanta. Working Title’s Tim Bevan and Eric Fellner will be producing along with Wright’s regular producing partner Nira Park. What do you think about the Baby Driver cast lineup? Are you excited for this one? Let us know in the comments below!